Book Review- Megan Abbott's Give Me Your Hand — Always Packed for Adventure! 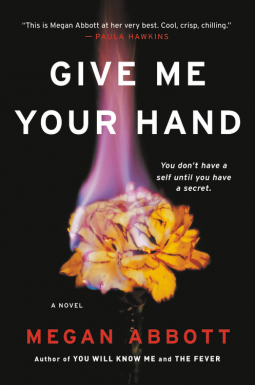 LIKE- I’m a fan of Abbott’s writing and I was thrilled to have the opportunity to review Give Me Your Hand. One of Abbott’s greatest strengths is in creating vivid characters with intense emotional lives. She lays them bare and exposes all of their greatest weaknesses, the types of shortcomings and mortifying thoughts that most people would never admit about themselves. I always cringe when I encounter her characters, but I cringe because those moments ring true. Her characters can be petty and they don’t always make good choices. They act like real people and are compelling. DISLIKE- Okay, truthfully, I was disappointed in the last third of the story. I was hyped up and along for the ride, but the twists at the end fell flat. I didn’t have a good pay-off. RECOMMEND- Maybe. I definitely recommend reading Abbott, but Give Me Your Hand wasn’t her best book.